Benzodiazepines, otherwise known as Benzos, can help cope with lack of sleep or anxiety issues. However, with Benzos, come possible risks such as addiction and dependency, complaints of brain fog, and even death. In fact, a recent study has even linked Benzos to increased risk of Alzheimer’s Disease. So, just how dangerous is it to use Benzos like Xanax, Klonopin, or Valium for long-term use? Many people don’t worry at all about taking Benzos, but they aren’t being honest with themselves about just how habit forming they can be. In fact, these pills are so addicting that studies have shown up to 44% of those who take Benzos later suffer from addiction, becoming dependent upon these pills to function. Those who have suffered from dependence have even said to describe them as harder to quit than heroin. According to those opposed to prescribing Benzos, these pills are handed out with alarming frequency that should be reserved only for severe cases. While it is difficult to break away from these addicting pills, nothing is impossible. Contact an inpatient drug rehab or alcohol rehab in Texas if you feel you may have a dependency on Benzos and want to consult with a professional. Alzheimer’s disease makes up 70% of the dementia-related cases in America. There is no known cure for Alzheimer’s disease and no explanation for what initially causes dementia. As with certain medications for Alzheimer’s Disease, other Benzo-like drugs such as Ambien or Lunesta have much the same side effects as drugs prescribed for Alzheimer’s and are dangerous in even low dosages or just a few uses. Because of the recent studies, many people, especially the elderly who are already more at risk for Alzheimer’s Disease, are beginning to wean off of these types of medications because of the harmful risk of side effect. It is recommended that in order to avoid dependency, drugs for insomnia should only be used for up to one month, while drugs for anxiety are only recommended for use for up to three months at the maximum. If you have exceeded these suggested time frames and are worried about dependence, know that you don’t have to go it alone. 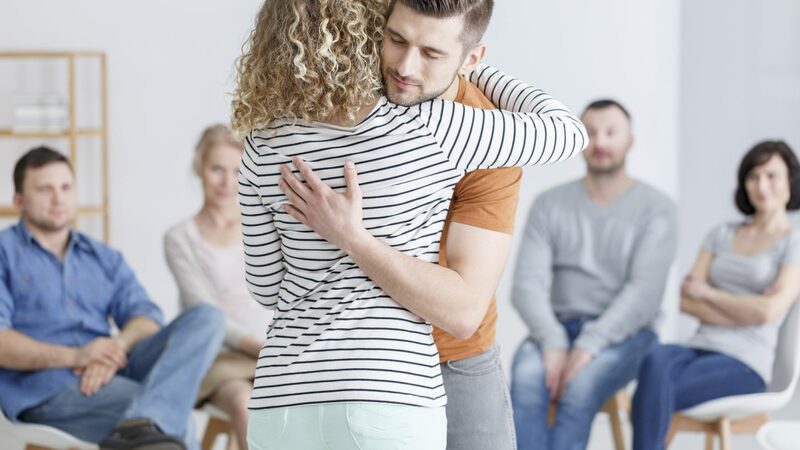 Trained professionals at drug and alcohol rehab facilities in Texas are able to help walk you through the rehab process to break free from addiction. Other countries have taken notice of the drug studies surrounding Benzos. As such, countries such as Australia have become stricter in their regulations for prescribing medication such as Xanax. However, in the United States, those opposed to Benzos have had difficulties convincing the Food and Drug Administration to increase warning labels on Benzos or ever-changing regulations. Those supporting Benzos are convinced that Benzos are safe when taken correctly. Whatever the argument, the percentage of those experiencing dependency on Benzos are significantly higher than what was originally thought and should be taken seriously. The reasons for taking Benzos are so compelling that they are hard to give up. Even though some know the risk, they still choose to take these habit-forming pills because of the relief they offer. Insomnia and anxiety are such difficult issues to deal with that it may seem easier to risk taking Benzos and becoming dependent than to have to deal with the consequences of anxiety or insomnia. Some have cut their doses or reduced the frequency of taking the medication in an effort to avoid potential side effects, but still claim to need the drugs. When deciding just how harmful Benzos can be to your health, users are encouraged to weigh both the benefits and the risks. Knowing that continuing to take these pills can cause an addiction that is not only difficult to break, but can also potentially lead to dementia or Alzheimer’s Disease is a serious consideration, one to not take lightly. Any drug that is considered habit-forming can alter your life. Becoming dependent on medication that can alter your state of mind, causing brain fog, is not one that you want to begin taking without doing more research. Discussing options with a Texas drug and alcohol rehabs will give you insight and knowledge to know what you are getting yourself in to. If you already have a dependency to Benzos such as Xanax, Ambien, or Lunesta and want to quit, drug and alcohol rehabs in Texas have programs to help you quit so you can get your life back. Contact Summer Sky today for more information about our inpatient and outpatient programs.